So I found this quote which literally sums me up in a heartbeat and thought yeah that is exactly how I feel today in words! It’s so important to show who you are and not feel ashamed of expressing your feelings. Keeping your expressions inside and not feeling how you want to, creates bad feelings and negativity. Yes you could be going through a lot of problems at the moment (we all have problems) like people putting you down and treating you badly, you’re going through a lot of stress, your getting married and all this will make you feel worse – however I really believe if you’re positive and feel positive then you’ll be positive for the rest of the day, week, month etc. Like they say life is too short to be anything but happy – just like the quote says. This is really meaningful quote which if you read it everyday will uplift you and bring out your inner person. 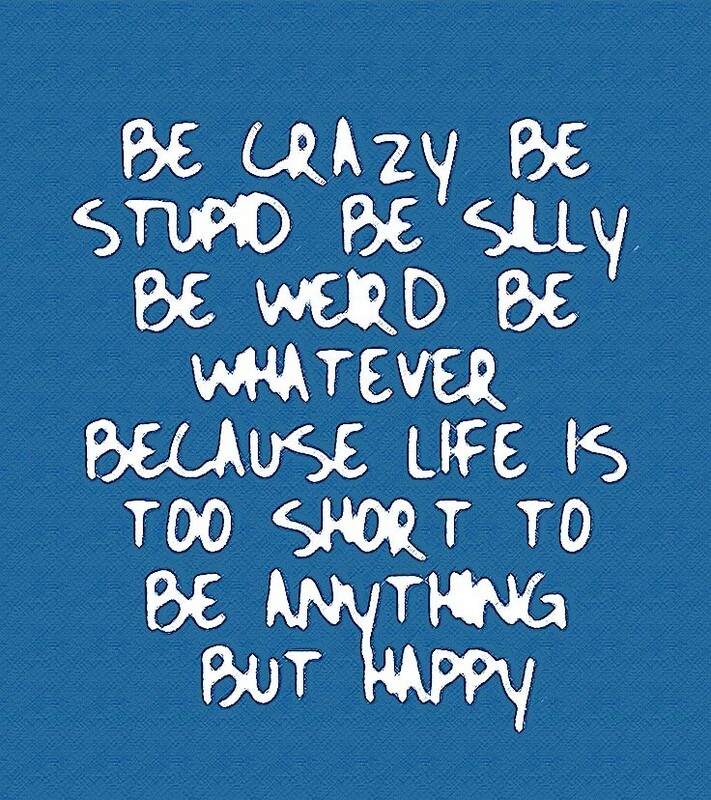 We’re all a little crazy, stupid, silly, weird (me exceptionally), so lets express it and be who we want to be!!! Hahaha sorry for the craziness on today’s #fridayfeeling – I just feel I should be motivational today. Spread the weirdness and speak soon.